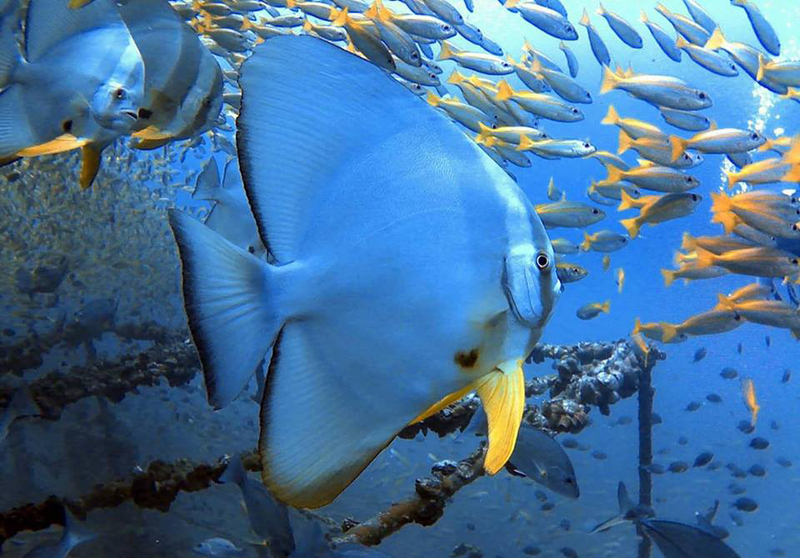 A dive on Koh Yak Yai will bring you full circle around the small island. 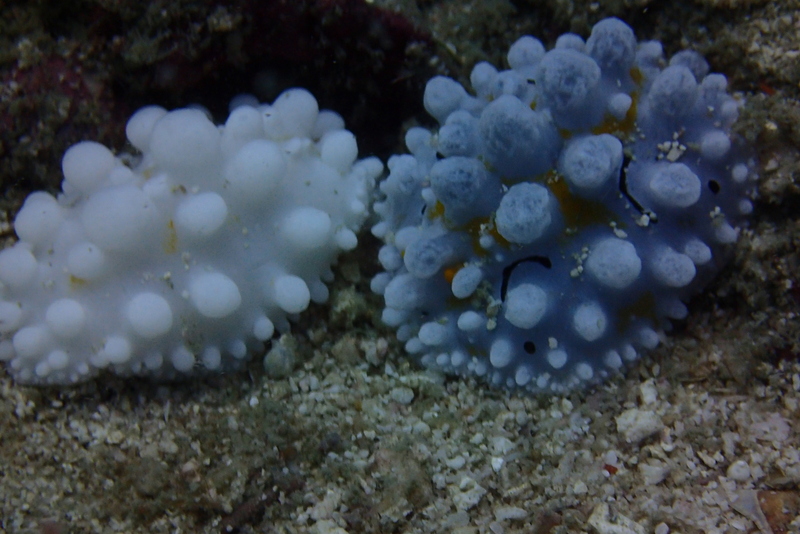 It is an ideal site for beginners, although experienced divers will enjoy it too. 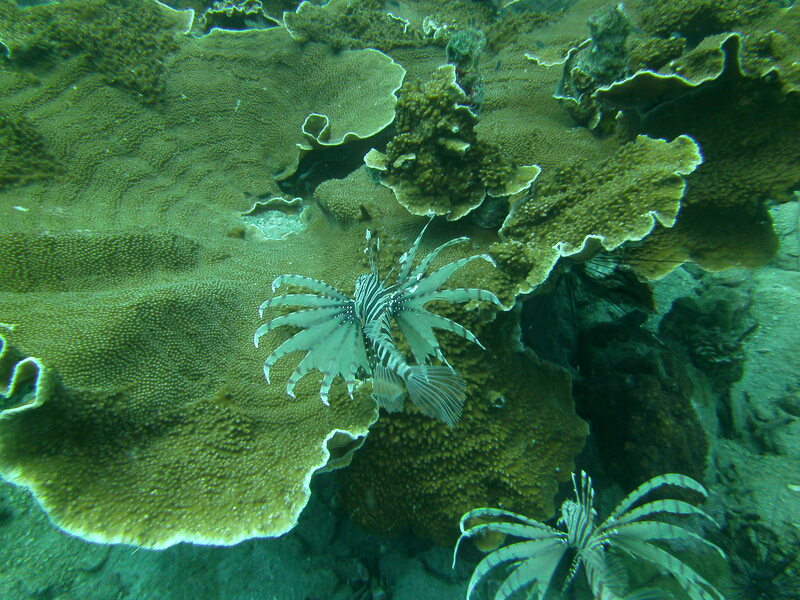 Beautiful corals will be around you for most of your dive. There are several Staghorn coral restoration projects. 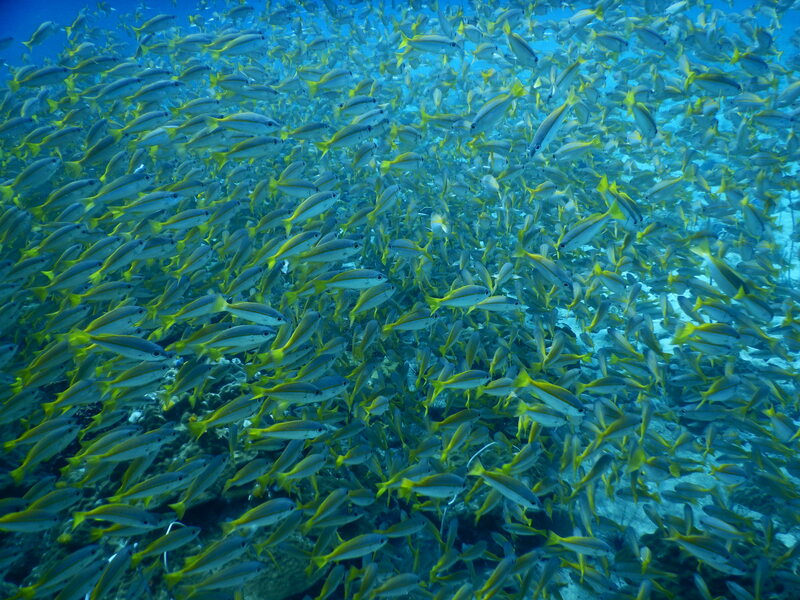 Expect to see schools of Yellow Fusiliers, Chevron Barracudas and Silver Batfish. 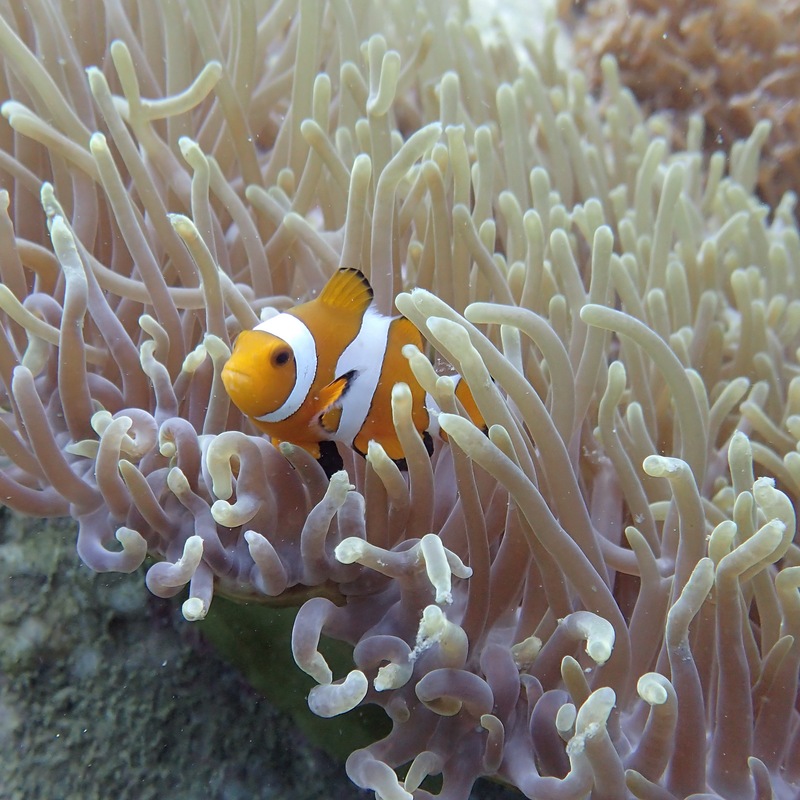 Look for Sea Anemones and you might find Nemo aka Clown fish. 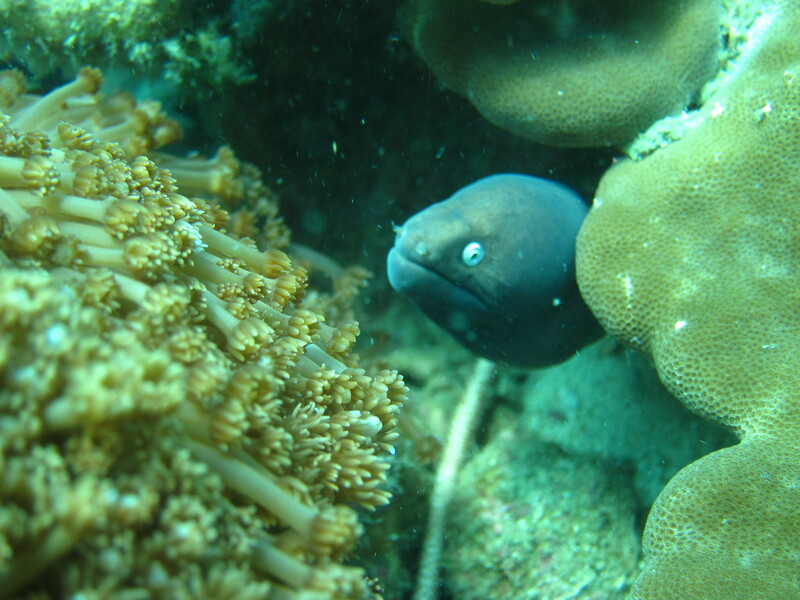 Peek under corals to find a White Eye Moray Eel or some Blue Spotted Stingrays. Puffer fish can be found hiding and out on the sand you can find Gobi’s living together with their Helper Shrimp. 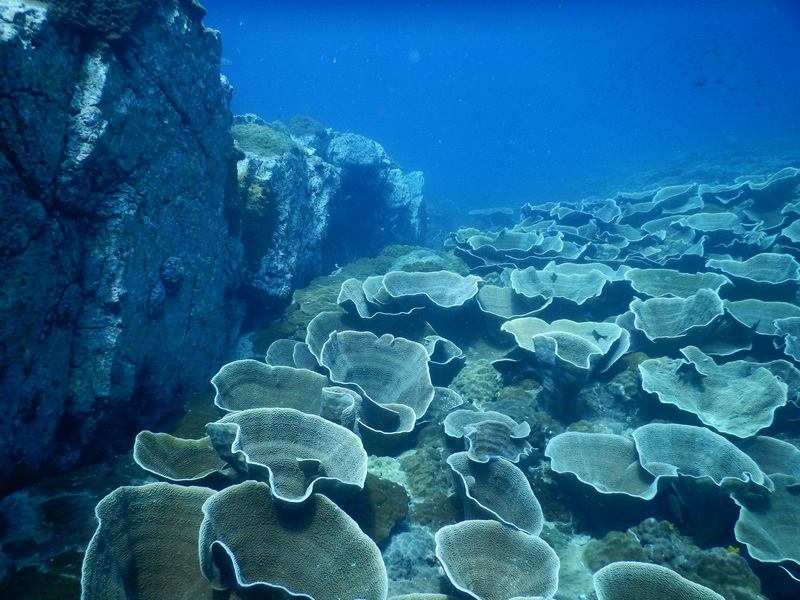 Bubble your way around this small island coral site and be amazed. Ideal for divers of all skill levels, including beginners. 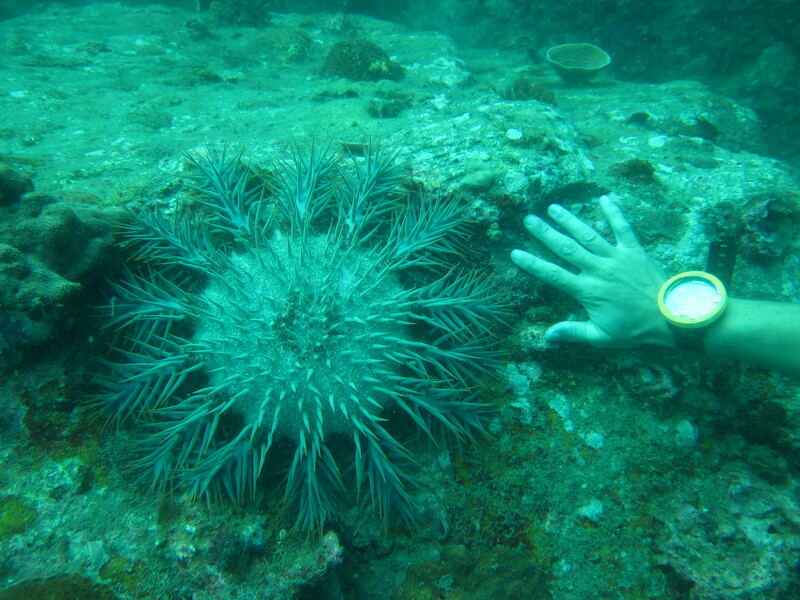 There is a lot to see in the relatively shallow waters where you can dive safely protected from surge and currents. Navigate through the schools of Yellow Fusiliers and Chevron Barracuda. 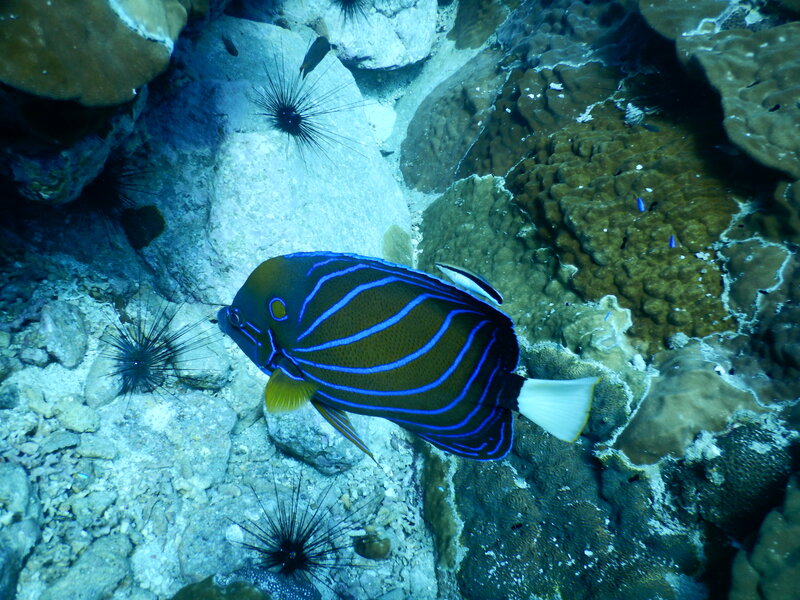 Look up and you will see Sergeant Major fish and Trumpet fish swimming near the surface. 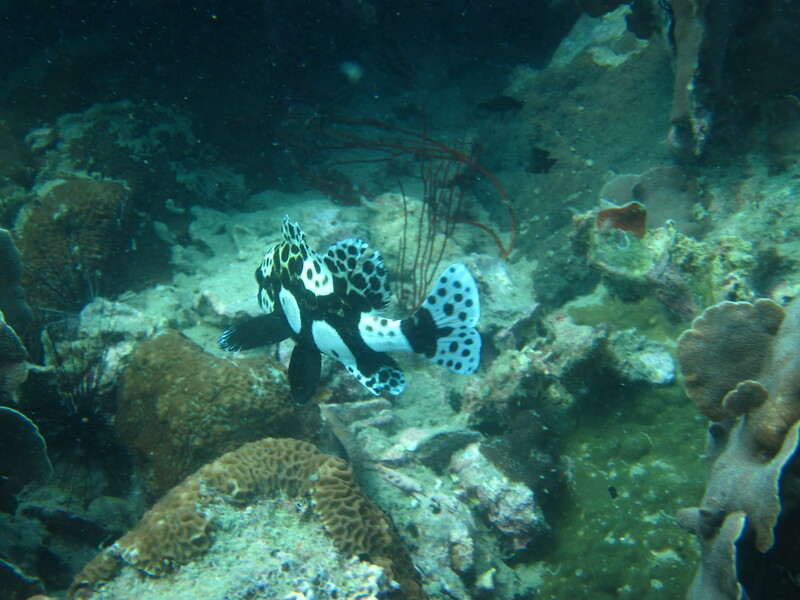 Also expect to find Blue Spotted Rays, Puffer fish and Box fish, Moray Eels and Nudibranch. Experienced divers that can dive deeper will sometimes be fortunate and find larger Sand Rays and the occasional Lion Fish. 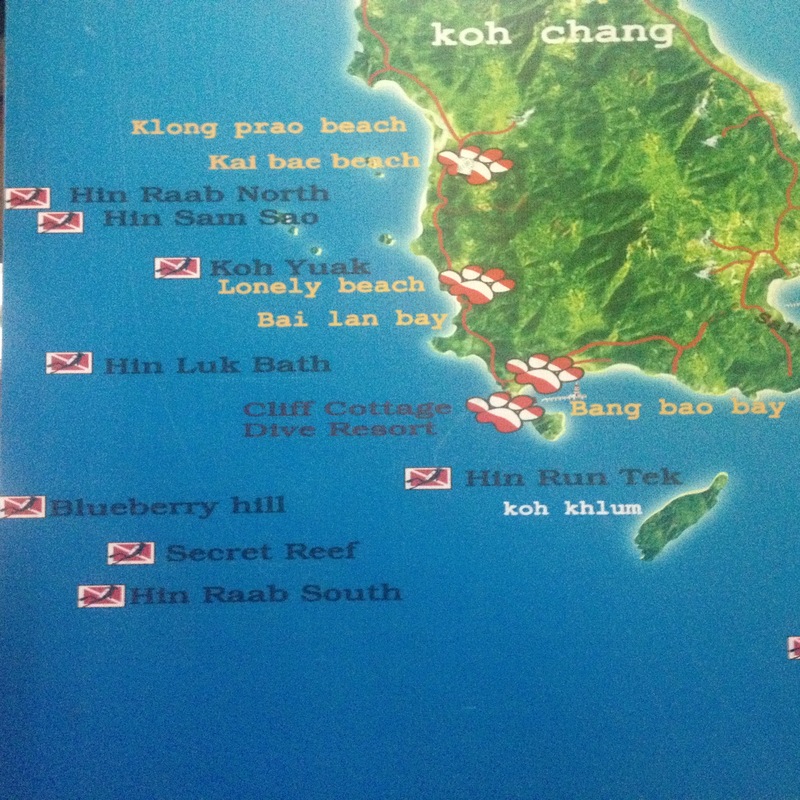 Koh Tian is a much quieter site as it is not visited by many snorkelers. 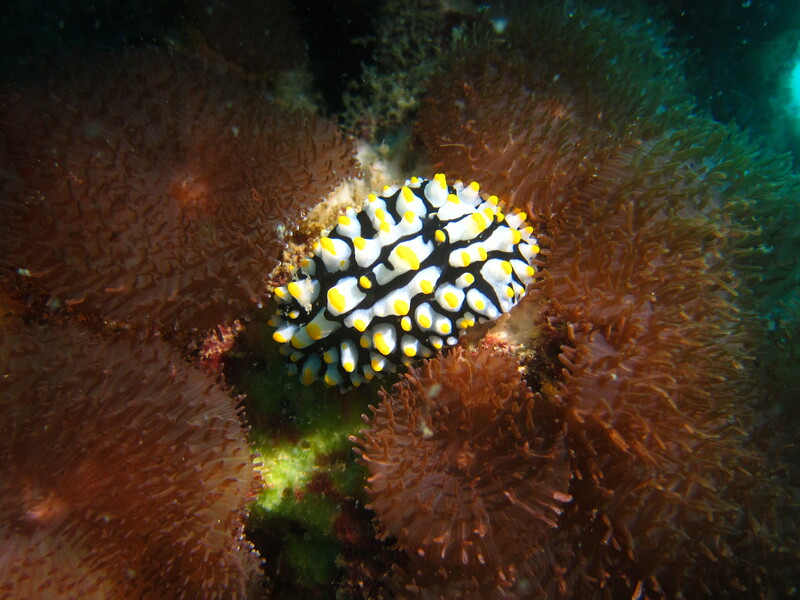 Koh Tian offers better opportunities to see marine life that wants to avoid the noise of the big snorkel boats. 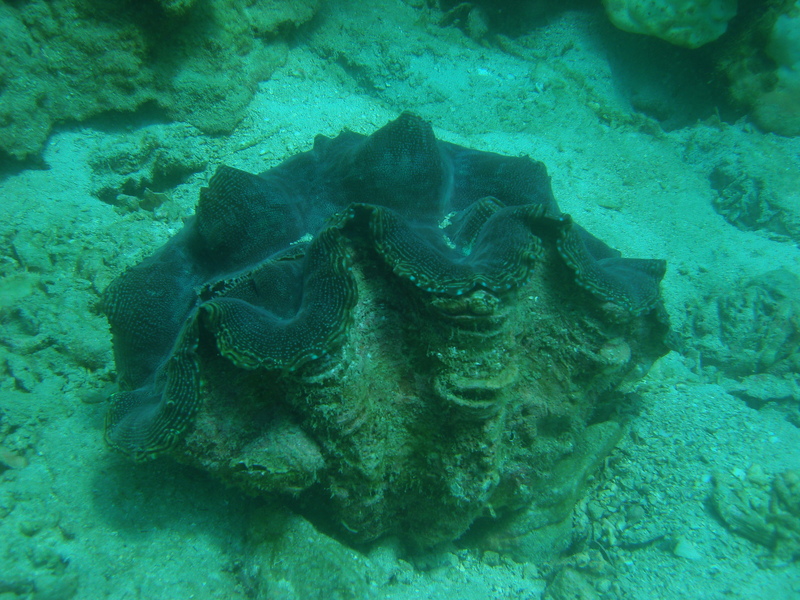 When you descend you will see a long shallow coral bed. 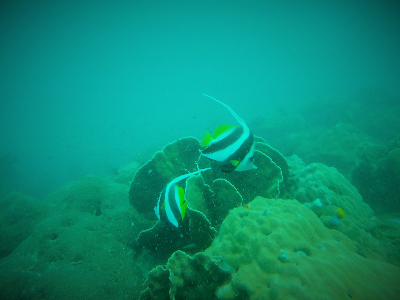 Rabbit fish, Banner fish, Angel fish and even the occasional Yellow Spotted Box fish can be found. As you continue your dive you will descend across rock bluffs that are home to large Groupers and Triggerfish, Crabs and Nudibranch. Be sure to spend some time on the sand admiring the Gobis and their Helper Shrimp. 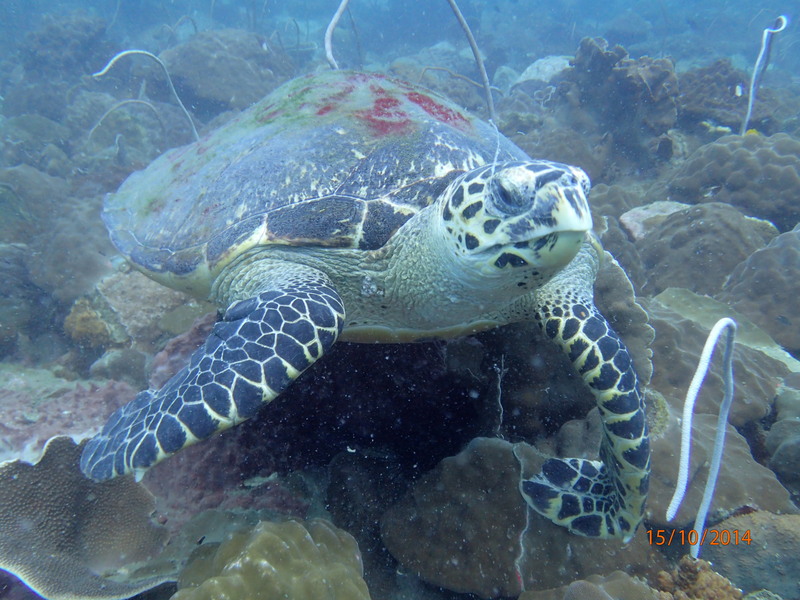 On lucky days we can find Turtles, Eagle rays, schools of Squid and sometimes Cuttlefish. 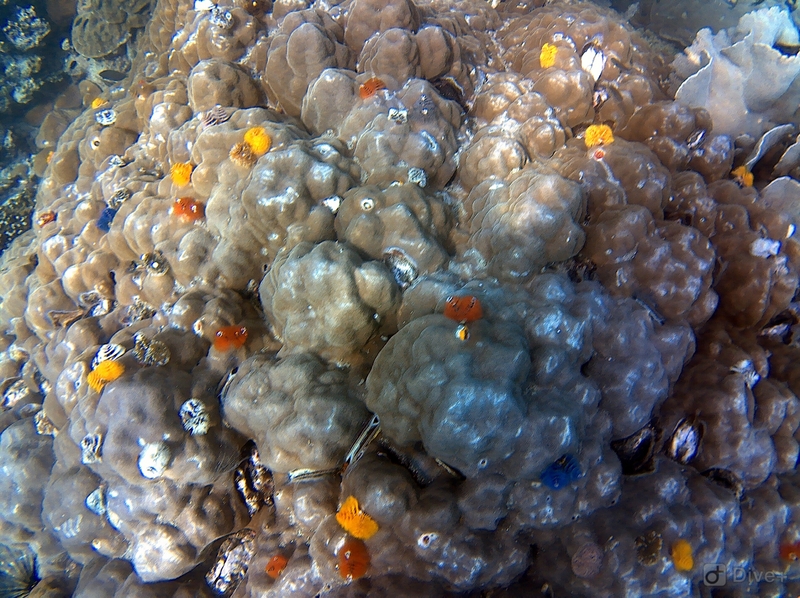 Three Finger Reef is a shoal with a mooring buoy on the north east side of the National Marine Park. Schools of Spotted Snapper and lots of Groupers can be found living in and around the corals. This is also home to one of the Marine Park's Staghorn coral restoration projects, so please feel free to pick up a broken piece of Staghorn coral and plant it somewhere so it can continue to grow on the reef. 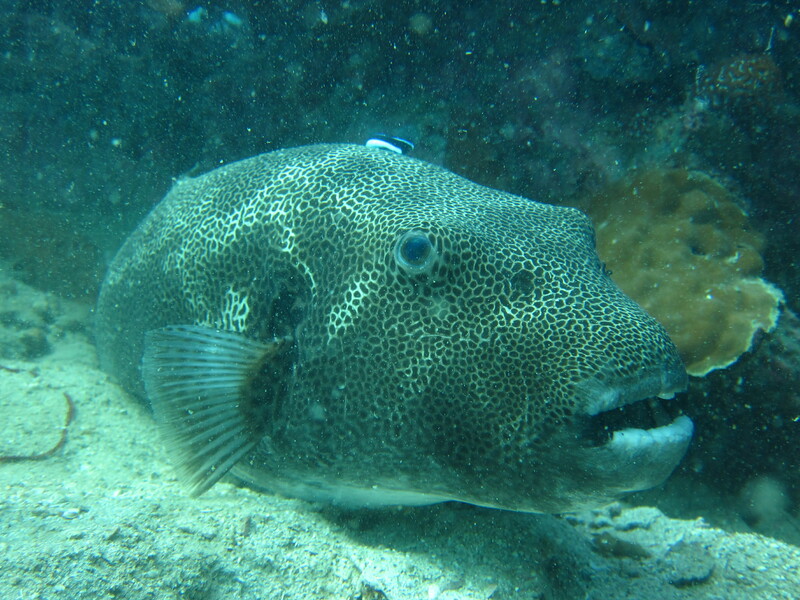 Seal faced, Masked and Giant Puffer fish call this reef their home. Bamboo sharks can also be found and maybe even the occasional Cuttlefish. 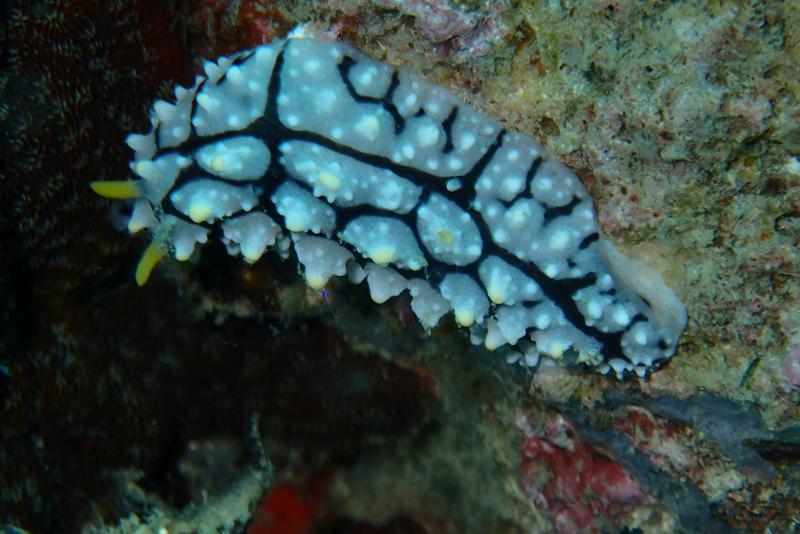 Keep an eye out for the numerous Nudibranch and Scorpion fish making their home along the rock walls on this dive site or find some Stone fish on the sand. 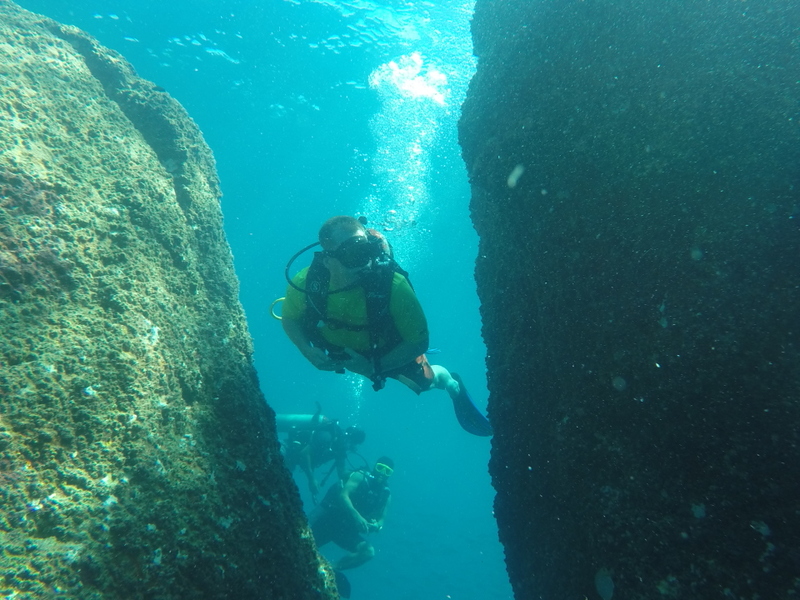 The Pinnacles is an amazing site for experienced divers. Hiding just below the waves out in the open water, two rock towers stand parallel and stretch towards to surface from a depth of 12 meters. At the Pinnacles' base you will find massive boulders precariously perched on top of each other, providing countless places for marine life to thrive. From large adult Great Barracudas to the smallest Nudibranch, this site is one to not miss. 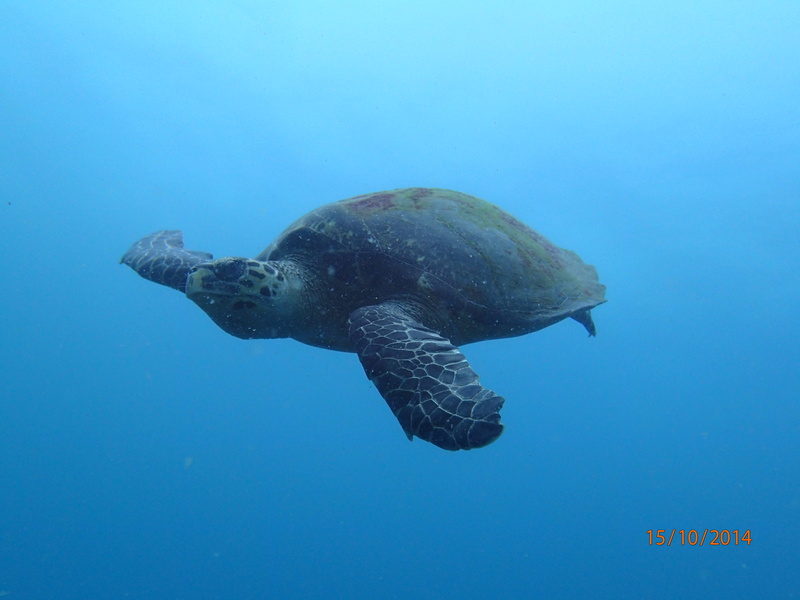 Eagle Rays, Turtles and Reef sharks can occasionally be seen here. There are some fun swim-throughs and places to take beautiful photos but be careful and watch out for Crown of Thorns and Scorpion Fish. Dive into Hin Raab and be prepared for anything. Ideal for divers of all skill levels and very good for snorkeling too. Follow the sand line and look out into the blue to spot large schools of adult Trevally coming in to feed on smaller fish. On lucky days adult Great Barracuda can be found swimming in the open waters around the reef. 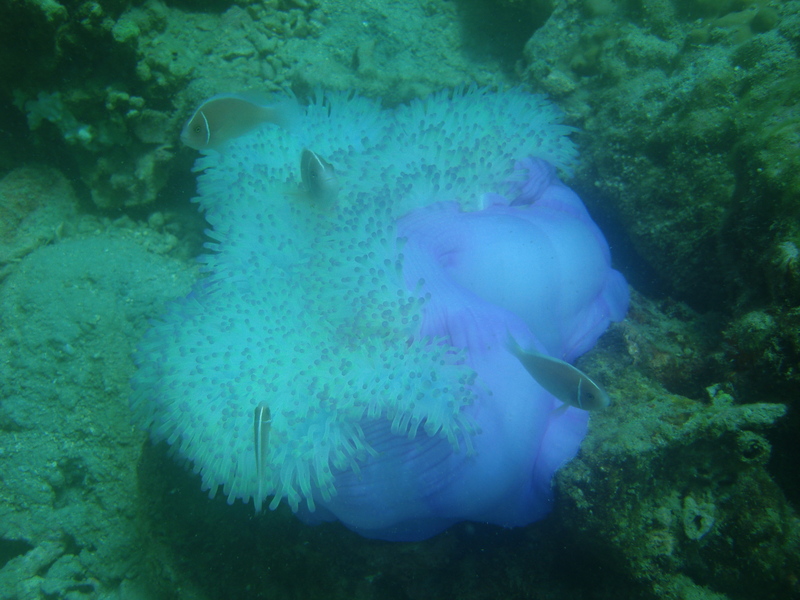 There is a large Sea Anemone bed that is always fun to watch moving back and forward with the surge. 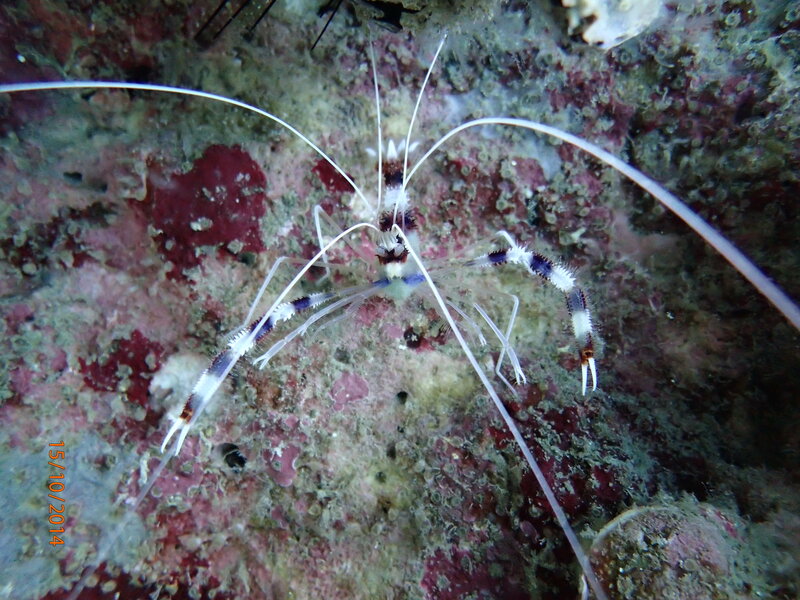 Red Dancing Shrimp and Banded Cleaner Shrimp can all be found hiding in the cracks and be sure to keep look out for munitions that were fired by the Thai Navy and is scattered around this dive site. Plunge into Secret Reef and follow the canyons around the reef. Perfect for divers of all skill levels. 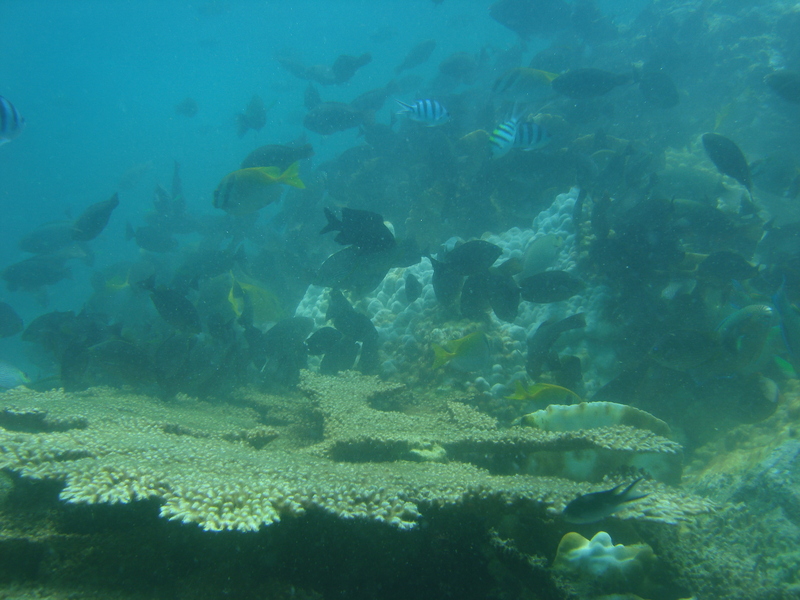 Slowly swim around this shoal and be prepared to find a large diversity of sea creatures and corals. 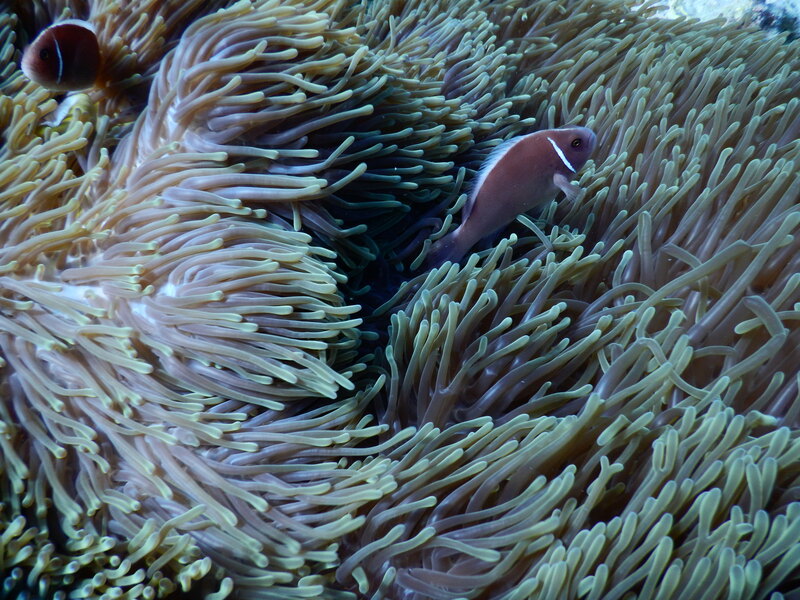 Puffer fish, Box fish and Sweet lips can be found hiding under and around the massive beds of corals. 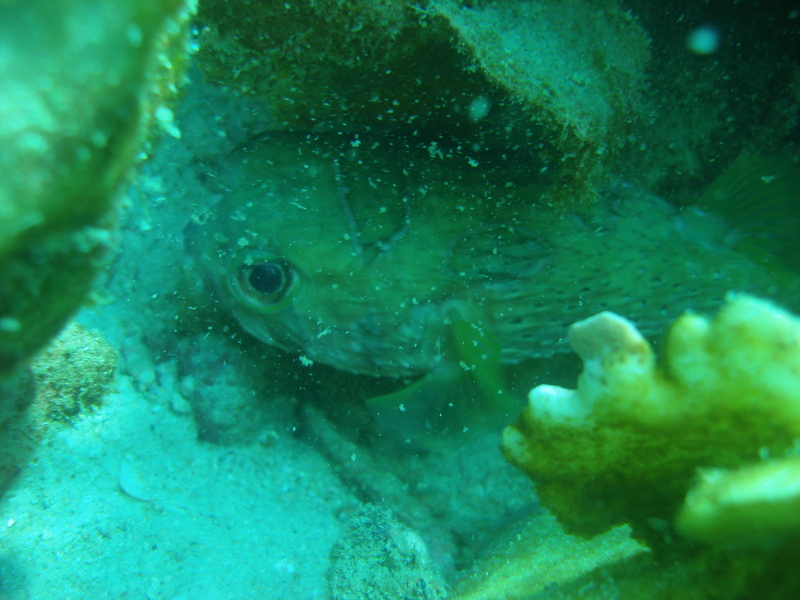 Damsel fish will protect the Barrel sponge and the Trigger fish will protect their nests. 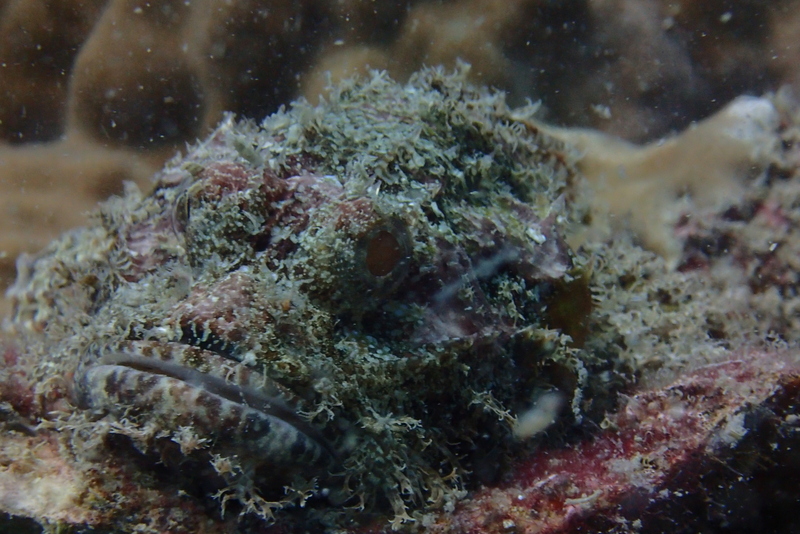 Look closely and find Scorpion fish and Nudibranch on the rocks. Large groupers and the odd turtle are regularly seen. 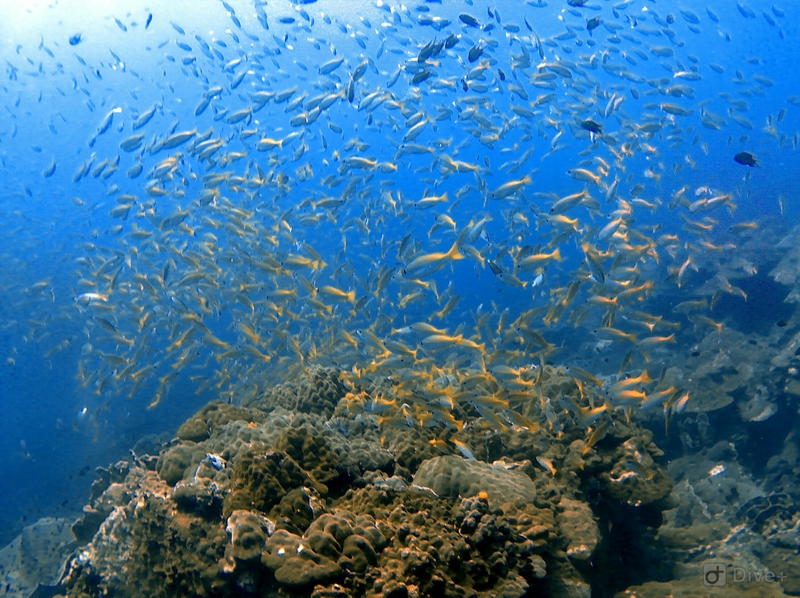 This shoal just north west of Hin Raab is typically a diver's favorite. Two canyons cut through the site, which is a large coral bed sitting atop broken bedrock. As you navigate around you will find many nooks and crannies to peer into with a torch, and find many creatures hiding within. 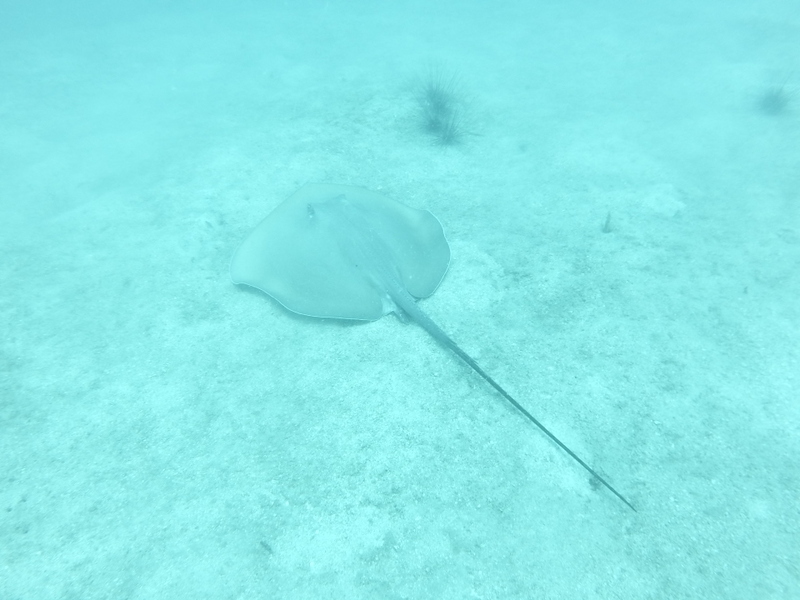 Large Sting Rays, massive Groupers, and many macro species can all be found in the cracks. 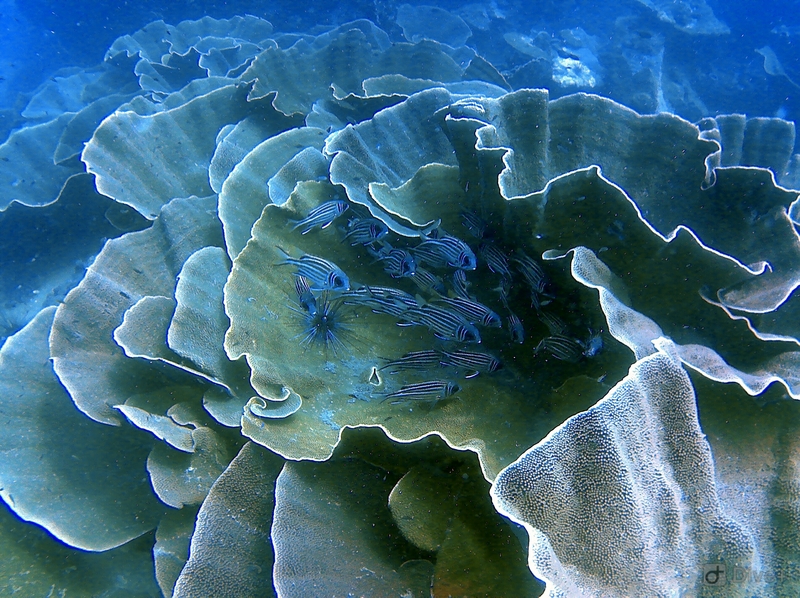 Huge walls of corals are home to Eels, Rays, Sweetlips and the like. Hermit crabs and Scorpion fish can be found in the shallower water and a resident turtle can be seen roaming every now and again. 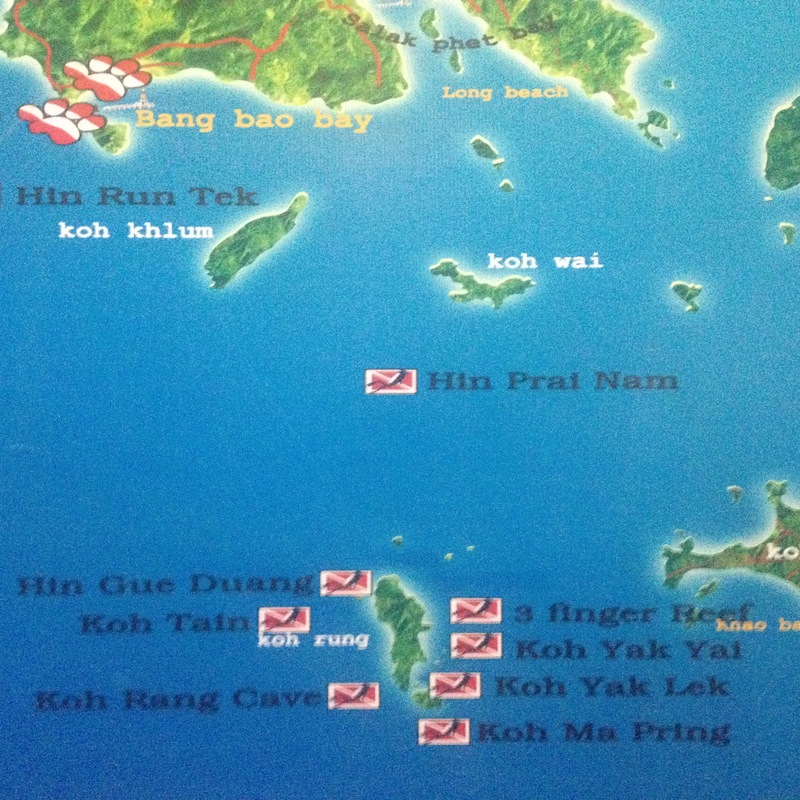 Directly west of Bang Bao you will find the tiny rocky island called Hin Luk Bath. Below the waves the site is a nursery, baby Barracuda, Fusiliers and Silver Bat fish all come here for protection. The schools are large and for most of your dive you will find yourself swimming right through them. Pieces of an old wooden shipwreck can be found in and among the rocky outcrops as well as Turtles, Moray Eels and Stingrays. The rocky landscape of this site provides many places for divers to take their time and find creatures hiding in and among the corals. 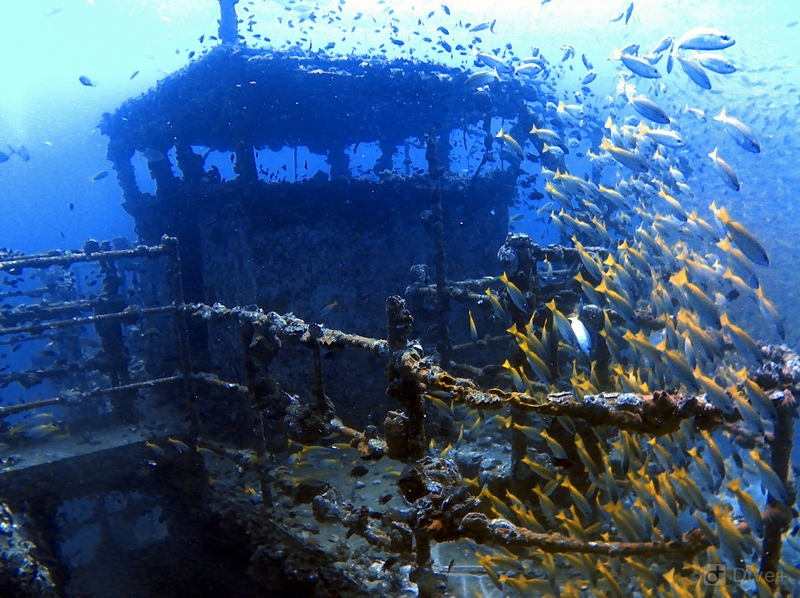 The HTMS Chang wreck is a ‘must dive’ for anyone diving in Thailand. The HTMS Chang started its life as a US tank landing craft and was commissioned in 1944 as the USS Lincoln County (LST-898) and used in campaigns in South East Asia during the ’40s and ’50s before being sold to the Thai navy in 1962. It was decommissioned, stripped of all contaminants and deliberately sunk on the 22nd of November 2012 in order to create an artificial reef. 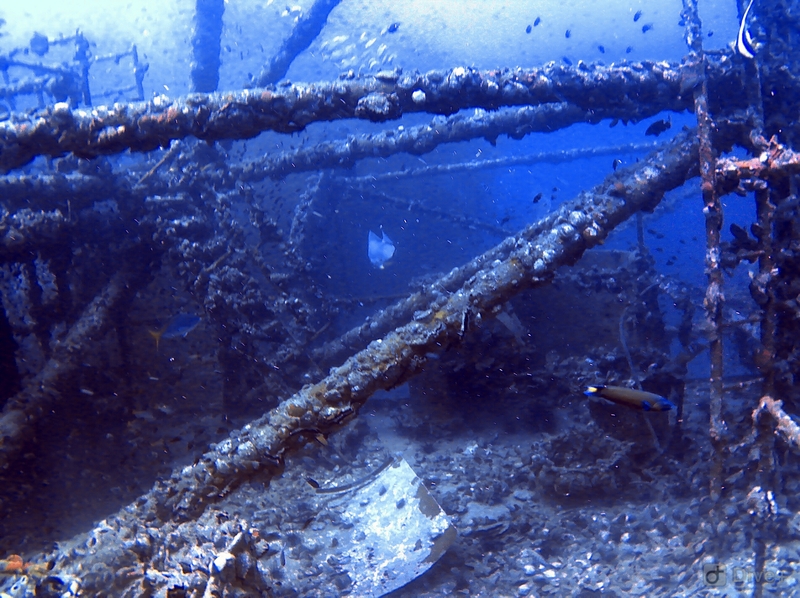 The trip to the wreck takes only 40 minutes by a Scubadawgs dive boat from Bang Bao pier. The HTMS Chang is 100 meters long, positioned perfectly upright on the sandy seabed at 31 meters depth with its main deck at 24 meters depth. 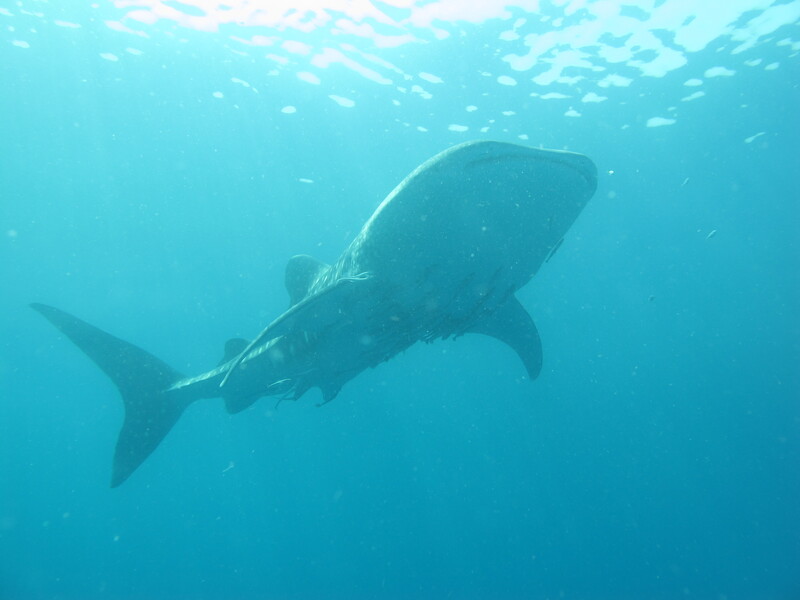 It is teeming with marine life and whale sharks are regular visitors. There have been sightings of Reef sharks and Angler fish. It is a dive for divers certified to 30 meters. For Open Water divers we offer the option of doing a RAID Deep 30 dive or a PADI Deep Adventure Dive for only 1100 Baht extra. The HTMS Chang is also very challenging for experienced certified wreck divers that can penetrate deep into the wreck.